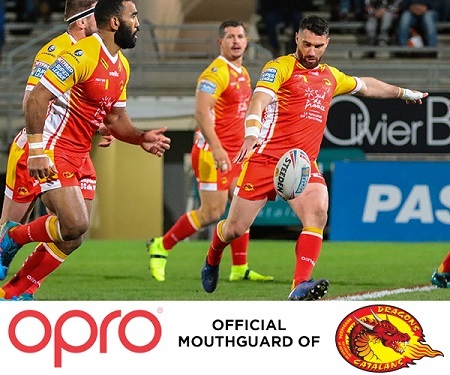 OPRO, the world’s largest manufacturer of the most technically advanced mouthguard, have entered an official partnership with Rugby League team, the Catalans Dragons. With the new season underway as of last week, David Allen, OPRO CEO, said: “We’re delighted to be the official mouthguard provider to such a decorated list of teams that compete in the Super League. As last year’s Challenge Cup winners, the Catalans Dragons are a fantastic team to be working with.